We will explore the wonderful nuanced shades of neutrals that can be achieved with black, grey and primaries in this workshop. Our personal colour palettes will be enhanced with the addition of the warm/cool values and we will learn about the different colour casts with a variety of blacks. 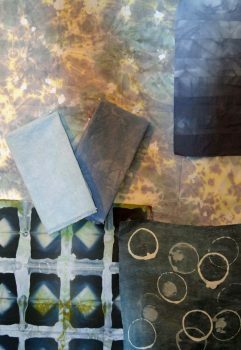 We will also over-dye colours with the neutrals to get a subtle variations as we work with low water immersion, shibori and shape resists. 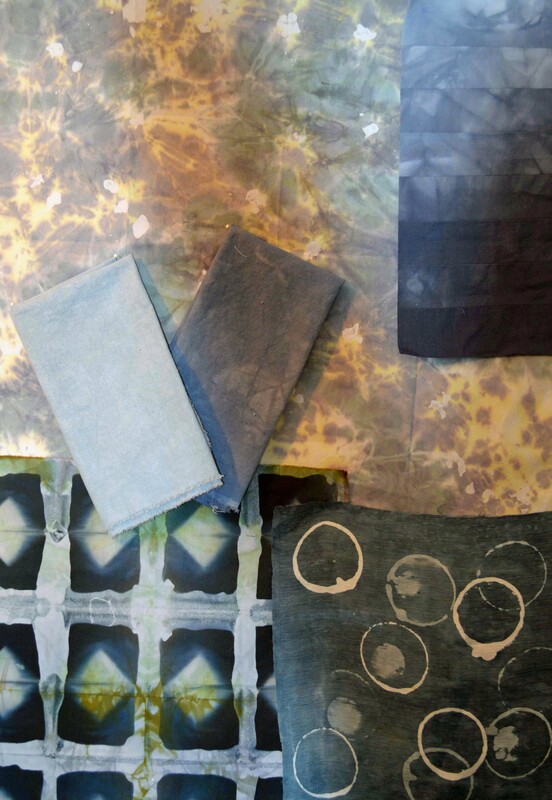 We will create a dye sample book and small yardages that can be used for a variety of textile projects.